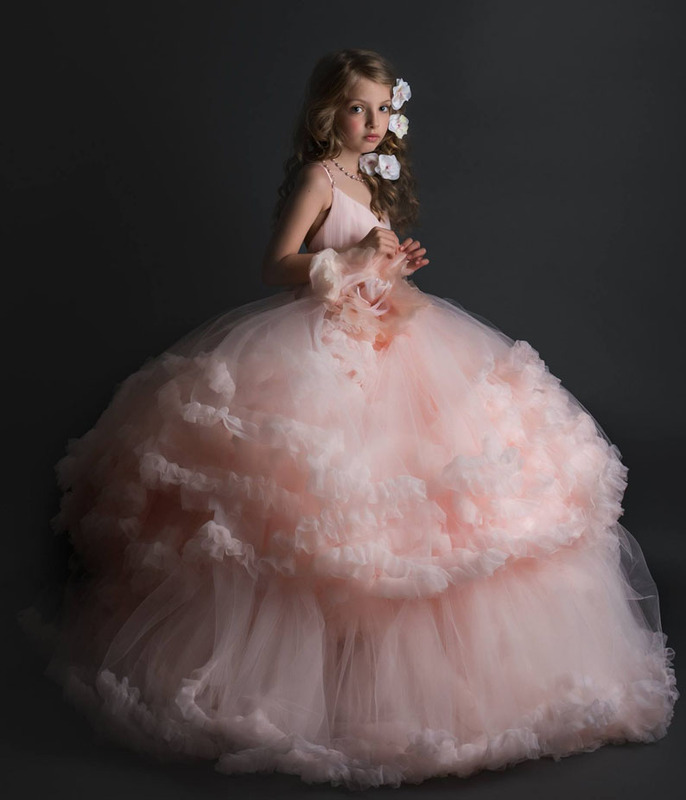 ALALOSHA wants to introduce you to unique, upscale, one-of-a-kind couture dresses tutus and other apparel for the fashion-forward modern day princess by Anna Triant Couture brand from the USA. 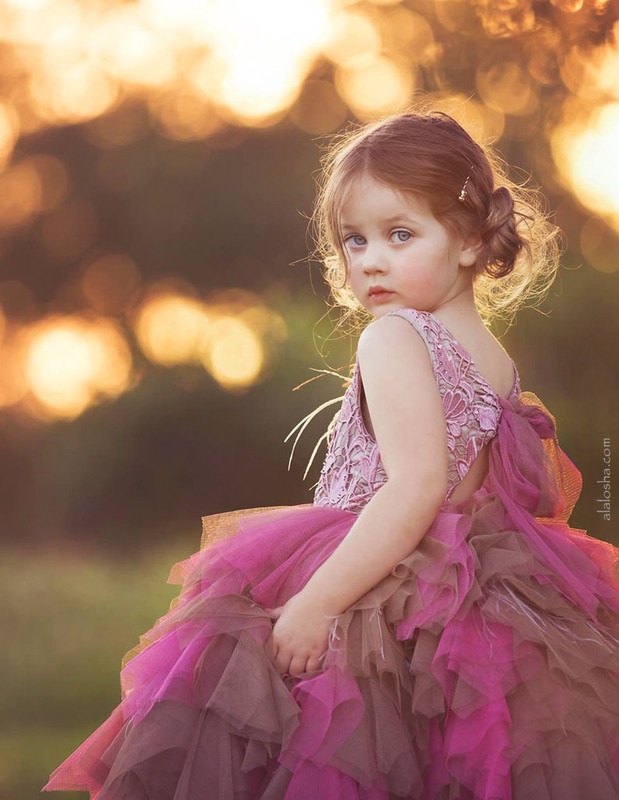 Anna Triant Couture is an up and coming brand of children's apparel designed and produced in the United States. 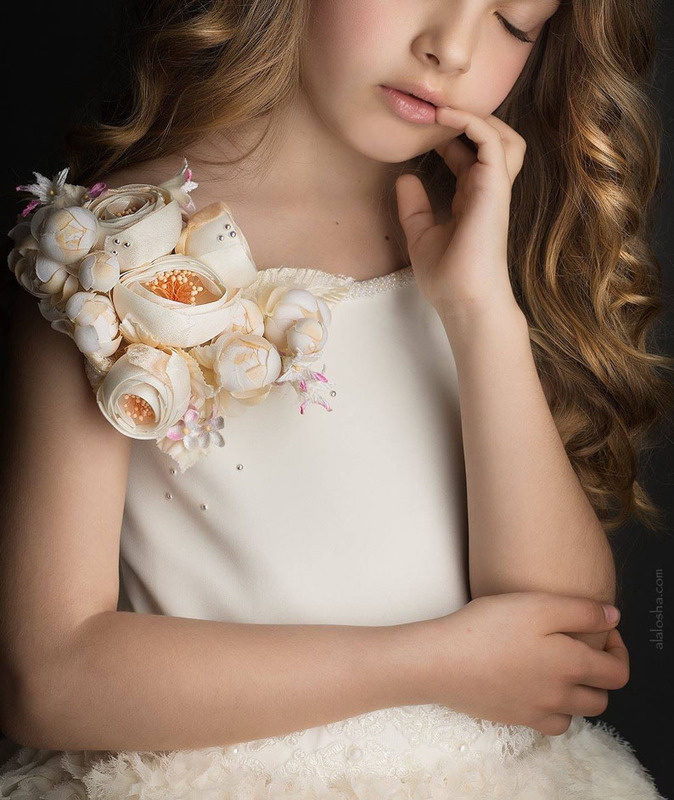 Every garment is designed and created by designer Anna and her talented team of professional seamstresses. 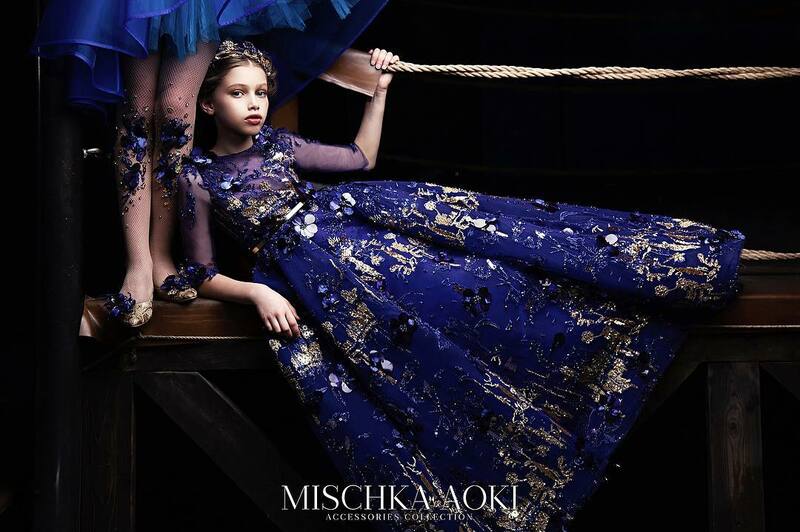 A gown to swoon over, Distant Dreamer is a gown like you have never seen before! 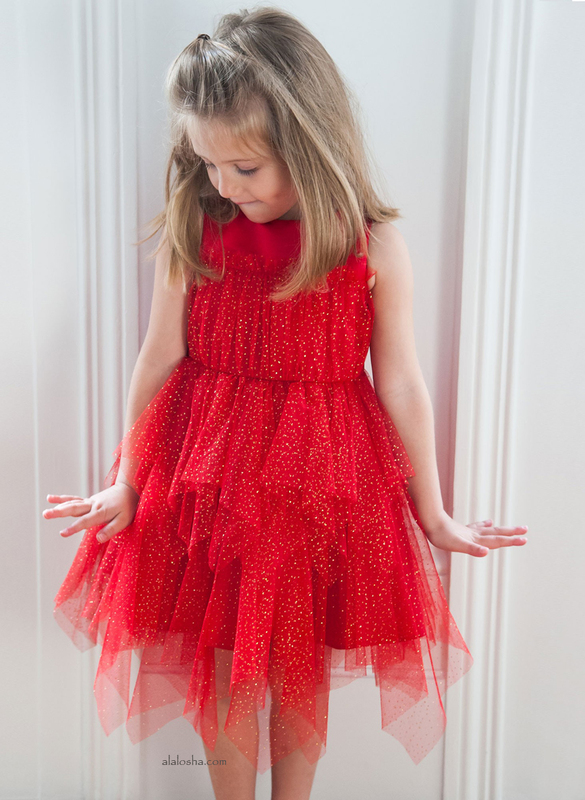 With a sea of soft chiffon ruffles on layered skirt, this dress is a dream. Layers upon layers of bridal illusion tulle and soft chiffon mixed in several glorious layers, with over a THOUSAND yards of ruffles and the amount of pouf that takes your breath away. 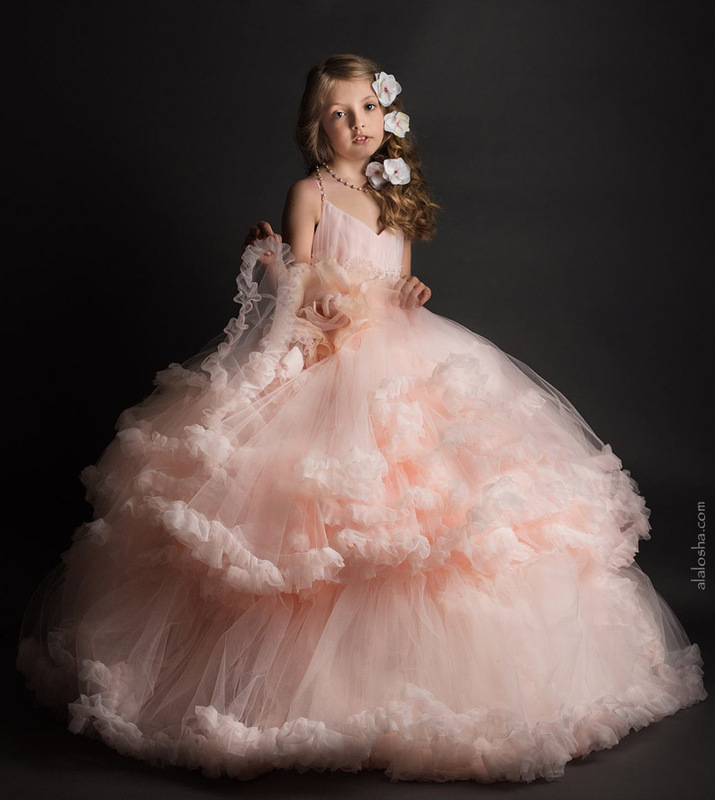 Adjustable straps, fitted sweatheart bodice with chiffon pleating and sweet lace sash with Swarowski pearls, freshwater pearl accents on shoulders, stretch insert in the back for a perfect fit, soft pongee lining for ulimate comfort of wear. An oversized handmade silk chiffon and velvet flower up front tops of already perfect gown.